Hey y'all! 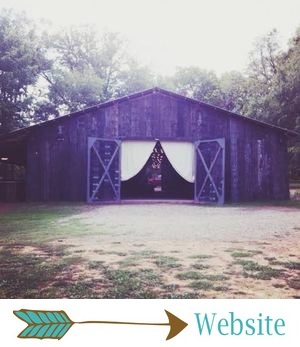 Welcome to another inspiring week on The Barn at Twin Oaks Ranch Blog. :) I hope you had a beautiful, relaxing fall weekend. Mine was spent road tripping to North Carolina (alone, in scary storms, but let's not talk about that), and then I got to see my sweet husband who's been working out here for over a month! Yesterday was our first anniversary (so exciting! ), and we spent it in Charlotte, eating great food, toasting with Bloody Marys and mimosas, trying Australian coffee (say what?! ), shopping and just reminiscing about our best day ever at The Barn. It was a very laid back first anniversary, but our celebrations will continue over the next couple weeks! On a totally different note, for today's wedding inspiration, I want to share with you some of my favorite ideas for wedding favors. Are wedding favors necessary? Well, it depends on who you ask... I would say that they aren't exactly necessary, but they sure are a fun, thoughtful way for your guests to remember your big day! If you Google "wedding favors," some of the results that pop up aren't exactly enticing. Actually, most of them are just plain ol' cheesy. But wedding favors don't have to be tacky! If you just get a little bit creative, they can end up being one of the most memorable details from your wedding! Here are some of my favorite favor ideas. These succulent favors from Nikki and Scott's fabulous wedding are precious. The wishes for their guests written on each plant are such a sweet detail! You could pick these out yourself at a local nursery, or go the easy route and buy them in bulk online! As if their succulent favors weren't cool enough, Nikki and Scott also had one of the coolest candy buffets there ever was. I mean, you just can't go wrong with a candy buffet, but one as pretty as this is unbeatable. Macarons are so pretty by themselves, but when you put glitter on them and then put them in a package with beautiful calligraphy... stick a fork in me, 'cause I'm done. Are you seeing a trend here? Edible favors are kind of the best. Sarah and Drake's popcorn bar was cute, creative and delicious. Fun fact: this is one of our most repinned images on Pinterest! Tiny champagne bottles (with a straw!) are literally the cutest. And yours guests will love having a little something for the after party! Chelsea and Logan gave away Coke in glass bottles and... toothbrushes? Yep! When the groom is in dental school, your reception includes toothbrushes and a hilariously cute groom's cake! Personal details like that are so. cool. Okay, so I have NO idea what's in those boxes, but with packaging that cute, who cares what the favor is?! I am only half kidding. That would be such a cute, easy way to package macarons or candy! At this year's Open Barn, the favors included homemade bath soaps. Favors people will actually use?! Heck yes. Not only did they come in the prettiest colors, but they also smelled delish! For my own wedding, I asked a few family members to make different types of pie. I printed a pie box template, bought some wooden forks and glittered the heck out of them (of course), cut a whole bunch of pie slices, and tied them all up with pretty pink twine. It was a lot of work, but I loved how they turned out! And who doesn't love pie?! You just can't go wrong with a good ol' mix CD, featuring your songs or songs from the wedding and reception! These honey favors are just the sweetest (literally ;) and Ashley and Derrick nailed it with that packaging! So maybe this one is a little on the tacky side, but it sure is clever and unique! And if any of your guests got lucky, I guarantee they wouldn't be judging you for handing out scratch-offs at your wedding. Did you (or do you plan to) include favors in your reception? If so, what did you give, or what do you plan to give? I'd love to hear in the comments! By the way, if you haven't entered our Barn Boot Giveaway, you'd better get on it! You only have two days left to enter! I'll see y'all back here tomorrow!